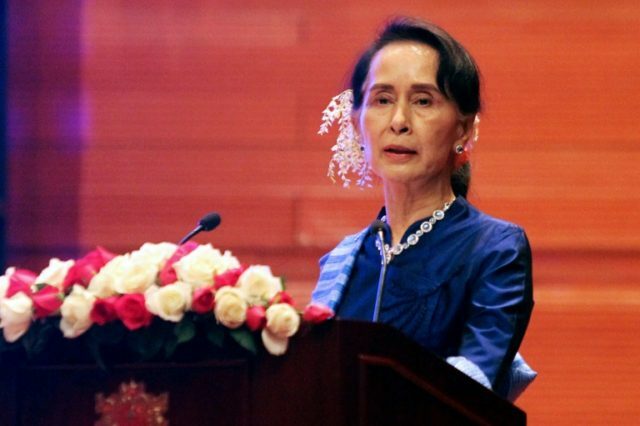 Washington (AFP) – The US Holocaust Memorial Museum said Wednesday it was stripping Myanmar’s de facto leader Aung San Suu Kyi of a prestigious human rights award, accusing her of doing little to halt the ethnic cleansing of Rohingya Muslims. In November a joint report by the Museum and Southeast Asia-based watchdog Fortify Rights — based on testimony they gathered in the field — documented “widespread and systematic attacks” on Rohingya civilians. In Geneva on Wednesday the UN human rights chief Zeid Ra’ad Al Hussein called for a new body tasked with preparing criminal indictments over the Myanmar atrocities.